Helping the sixth largest community-owned utility in the U.S. transform their user experience with Sitecore. SMUD is a community-owned utility providing people-centric energy solutions with a relentless focus on value to rate payers. We collaborated to design a website that engages customers through personalized content while prioritizing high-value communications and rapid completion of tasks customers care about most. SMUD is part of an electric utility industry being disrupted in multiple ways. The shift to clean energy is reducing demand for traditional grid-based energy while a rapidly growing regional economy is creating more and more customers. The result is a “double whammy” – more customers to serve with downward pressure on revenue. Meanwhile, expecations for ease-of-use are constantly growing and being community-owned, the accountability to deliver value for what customers pay doesn’t get any higher. Utilities today must find new revenue streams, reduce costs through digital containment and continually exceed individual customer expectations. SMUD’s legacy website was not helping. Based on legacy technology, it was difficult to maintain resulting in outdated content and was unable to deliver the enhanced experience SMUD customers have come to expect. The look and feel was dated and non-conforming to modern standards of accessible design. 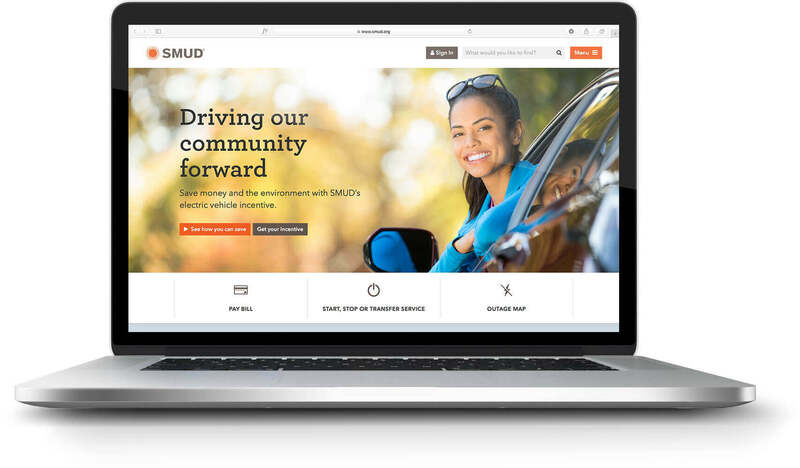 SMUD needed to redesign their website and empower marketing users to engage customers with new products as well as cost-saving programs like paperless billing. All of this while increasing their profile as the key contributor that they are to the overall well-being of the Sacramento communities they serve. SymSoft proposed a website user experience and marketing platform transformation using the Sitecore Experience Platform (XP). Leaning on robust content authoring and personalization features of Sitecore, we made sure a newly designed UX gained C-level acceptance and empowered content marketing teams to deliver a continuous flow of new imagery, promotional offers, and personalized content to website visitors. 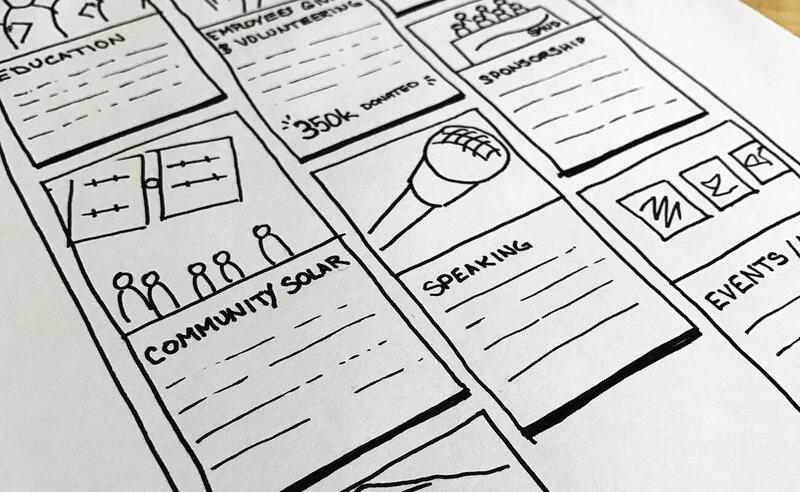 To understand SMUD’s audiences and innovation opportunities, we ran collaborative design sprints with key players from across the experience-savvy SMUD organization. This opportunity to brainstorm, design, and test prototypes together established a close working relationship that paid dividends over the life of the project, from the integration of approved branding assets to the development of components based on Sitecore Helix to a large-scale content migration for production go-live. Working collaboratively, the SMUD / SymSoft team delivered the new website and Sitecore XP platform on time and on budget. This included SymSoft’s Sitecore Managed Service, a turnkey website monitoring and Sitecore support offering that allows SMUD to focus on serving their customers instead of maintaining technology. Customer feedback has been outstanding, executive stakeholders are pleased and marketing teams are beginning to reap the benefits of Sitecore marketing features like A/B testing, path analyzer and personalization. All while complying with WCAG 2.0 Level AA standards. Several week-long Design Sprints were used to kick off the project. These sessions involved approximately one dozen SMUD stakeholders and were used to create, construct, and user test prototypes for key interfaces of the website. High traffic pages such as the SMUD.org home page are designed to feature a prominent hero image with overlaid type. Our team worked closely with the internal team of user experience experts and photographers at SMUD to ensure that the design specifications could be realistically fulfilled through content creation. The most important customer experience requirement was exposing and introducing key actions to the visitors as early as possible. Customer account, online bill payment, service management and services status are literally one click or tap away. Content had been pared down across the entire website to improve users’ ability to quickly scan pages and find relevant content. Additionally, we’ve introduced intuitive user interface tools such as accordions and tabs to keep page content feeling light and approachable. The SMUD.org website is comprised of a limited number of highly reusable components. Each is designed to work in numerous contextual situations to maximize their simplicity and efficiency. For example, an “abstract” appears on just about every page of the website, sometimes grouped with other abstracts, and sometimes as a call-out to support adjacent content.